Satellite Internet: High-Speed Broadband that’s Available Anywhere! For those who live in remote areas, high-speed broadband options may be limited. In some cases Satellite Internet may be your only choice. Satellite Internet is also one of the only ways to get a broadband connection on your boat or vacation RV. Satellite Internet may cost more than other broadband services and the connection may not be as strong, but Satellite Internet is available pretty much anywhere there’s a view of the southern sky. Satellite Internet is available virtually everywhere, even on boats and RVs. Easily bundle Satellite services to get both Internet and TV at a better price. Speeds are reliable and fast enough for email, web browsing and basic Internet use. Ordinary weather patterns, even regular storm systems, will not interrupt Satellite service. 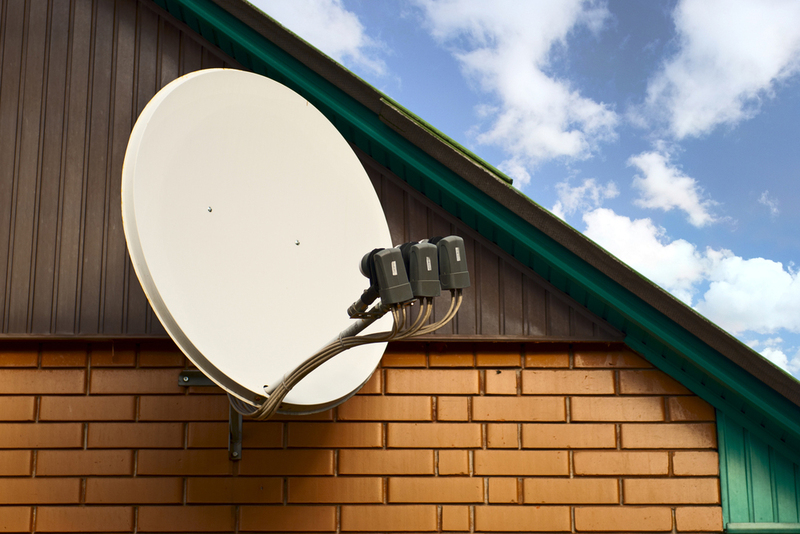 Most Satellite providers offer affordable options to buy or lease equipment. The connection is slower than cable or DSL and generally more expensive. Satellite Internet signals are interrupted by sight obstacles like trees and mountains. Providers often limit the amount of bandwidth for each customer. Latency issues (delays in the Internet connection) result because of the distance the signal travels making heavy broadband applications like real-time gaming, talking over the Internet (VoIP) or virtual private networks (VPNs) next to impossible. Severe weather can interrupt service. How Does Satellite Internet Actually Work? All that’s required is a clear view of the southern sky and the right equipment which most Satellite Internet providers will install for free. The Internet signal transmits to a satellite fixed above the equator and then to your home dish, and back and forth as needed. This round trip journey of some 90,000 miles, or longer depending on your latitude, creates a latency, or signal delay, which makes real-time communication like Skype calls difficult. Fortunately most other transmissions like surfing the web or checking email are quite reliable. The lag time still exists but goes virtually unnoticed. Normal weather patterns, even the occasional thunderstorm, will not affect your Satellite Internet connection. Only the most severe weather systems will cause a problem. Day or night, clouds or clear skies, Satellite Internet keeps you connected and can help optimize a Home Office or complete your Connected Home. Most providers, like HughesNet or Dish Network, offer service throughout the 48 contiguous states, and sometimes beyond that, for both Home and Business Satellite. Customers have the option to lease or purchase equipment. Purchasing saves money in the long run and generally comes with a one year warranty. Free basic installation is usually included. Providers might offer several service plans with various connection speeds (perform an internet Speed Test and find out exactly). Keep in mind these are only maximum speeds and never guaranteed. Satellite connections vary greatly depending on usage and location. But no matter where you are Satellite Internet is always a viable solution for broadband connection needs.